I specialise in medicine centered around the family, from before conception through to children and parents. I have been practicing a mix of complementary therapies since 1997. I have found Acupuncture to be the most successful of the disciplines I have learnt and the therapy, which due to its powerful and accurate diagnostic tools; has been most successful in a clinical environment. Since graduating from Reading College of Integrated Chinese Medicine I have continued to train to further my knowledge and help my patients achieve a healthy balanced lifestyle. I am available to discuss your acupuncture requirements before you commit to treatment and am prepared to spend up to 20 minutes in clinic or on the phone to ensure you are confident that Acupuncture is the most suitable treatment for your complaint. I work a combination of daytime and evenings with pre-arranged appointment times and I am able to offer flexible appointments via home visit. I value the reputation of Acupuncture and of my practice. I will not treat you for the sake of treating you. I will take responsibility for your health. I view working with you as a health partnership. I offer my knowledge and availability by phone, text and e-mail for any questions you have throughout treatment. What about needles - Won't they hurt? 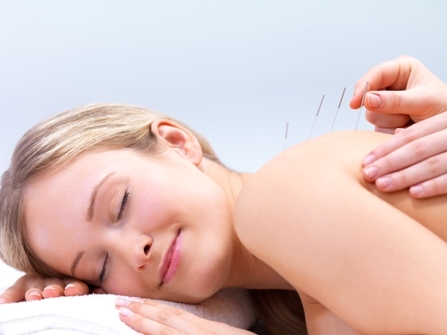 Acupuncture needles are not what you might expect. They are very fine about the width of a human hair, not at all like the needles for blood tests or injections you may have had at the doctors. Patients most often describe the sensation as the needles go in as a dull ache. You may not feel some of the needles at all, depending on the condition you are treated for and where the needle is. Some patients describe tingling or small electric tingles running towards or away from the needle. Please browse through the pages to find out more and if you do have any questions feel free to contact me via email or phone (my contact info is with the other links on the left hand menu). I hope you find these pages useful and informative, but if there is anything else you would like to see please let me know. Copyright © 2016 Jo Rochford - Acupuncture. All Rights Reserved.